Co-Founder and Chief Executive Officer (CEO) of Peptomyc S.L. Principal Investigator of the Mouse Models of Cancer Therapies Group at the Vall d´Hebron Institute of Oncology (VHIO) and ICREA Professor. Dr. Soucek is a leading figure in the Myc field and has pioneered studies on MYC inhibition since designing Omomyc when she was still an undergraduate student. Dr. Laura Soucek has published in top scientific journals including Nature, Nature Medicine, Genes & Development, and Nature Communications as First and Senior author. Since early 2011, she heads the Mouse Models of Cancer Therapies Group at the Vall d’Hebron Institute of Oncology (VHIO), Barcelona, Spain. Her research at VHIO has already been recognized through several national research awards and grants (FERO fellowship, grants from the Miguel Servet Program, FIS and AGAUR), and prestigious international grants such as an ERC Consolidator grant, two ERC Proof of Concept grants and an AICR (now Worldwide Cancer Research) grant. Laura is also co-inventor of three patent applications including the ones at the basis of this project. In December 2014, she co-founded Peptomyc S.L. As CEO of the company, she is directing the scientific and strategic aspects of the project, overseeing its overall implementation, progress, and success. Annibali, D., Whitfield, J.R., Favuzzi, E., Jauset, T., Serrano, E., Cuartas, I., Redondo-Campos, S., Folch, G., Gonzalez-Junca, A., Sodir, N.M., et al. (2014). Nature Communications 5, 4632. Soucek, L., Whitfield, J.R., Sodir, N.M., Masso-Valles, D., Serrano, E., Karnezis, A.N., Swigart, L.B., and Evan, G.I. (2013). Genes & Development 27, 504-513. Sodir, N.M., Swigart, L.B., Karnezis, A.N., Hanahan, D., Evan, G.I., and Soucek, L. (2011). Genes & Development 25, 907-916. Savino, M., Annibali, D., Carucci, N., Favuzzi, E., Cole, M.D., Evan, G.I., Soucek, L., and Nasi, S. (2011). PloS One 6, e22284. Soucek, L., Whitfield, J., Martins, C.P., Finch, A.J., Murphy, D.J., Sodir, N.M., Karnezis, A.N., Swigart, L.B., Nasi, S., and Evan, G.I. (2008). Nature 455, 679-683. Soucek, L., Nasi, S., and Evan, G.I. (2004). Cell Death and Differentiation 11, 1038-1045. Soucek, L., Jucker, R., Panacchia, L., Ricordy, R., Tato, F., and Nasi, S. (2002). Cancer Research 62, 3507-3510. Soucek, L., Helmer-Citterich, M., Sacco, A., Jucker, R., Cesareni, G., and Nasi, S. (1998). Oncogene 17, 2463-2472. Co-Founder & Chief Scientific Officer (CSO) of Peptomyc S.L. 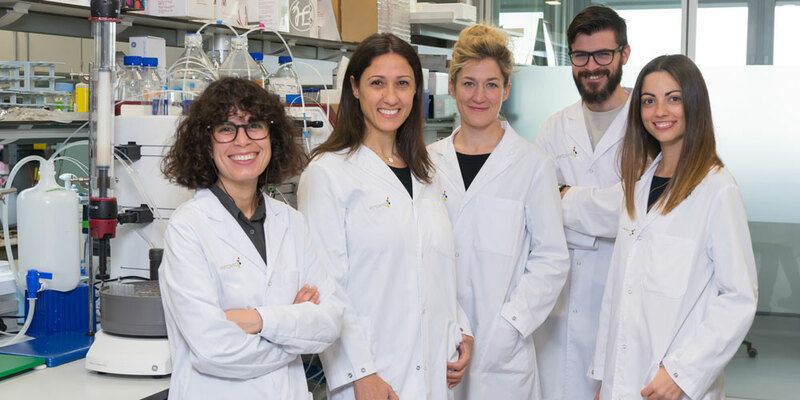 Senior Postdoctoral Fellow in Dr. Soucek’s Mouse Models of Cancer Therapies Group at the Vall d´Hebron Institute of Oncology (VHIO). Dr. Beaulieu has extensive experience in biochemistry and structural biology of b-HLH-LZ transcription factors (such as Omomyc) and peptide design. In parallel to her academic career, she worked with the pharmaceutical industry and studied peptide formulations using various biophysical methods such as Nuclear Magnetic Resonance, Circular Dichroism and Fluorescence spectroscopies. Marie-Eve graduated in November 2011 (PhD in Pharmacology, Université de Sherbrooke, Canada), and was awarded several competitive fellowships (CREFSIP scholarship grant (PhD project), MITACS Accelerated postdoctoral fellowship (postdoc project at Theratechnologies Inc., Montreal, Canada) and a FRSQ postdoctoral award from the Quebec government (current postdoc project)). She already co-authored 13 peer-reviewed publications and 2 book chapters. In 2012, she joined Dr. Soucek’s laboratory as a postdoctoral fellow and unveiled the cell-penetrating properties of the purified Omomyc peptide. She is co-inventor of the patent application protecting the use of Omomyc in medicine and co-founder of Peptomyc S.L. with the aim of translating years of academic research into a practical value for society. 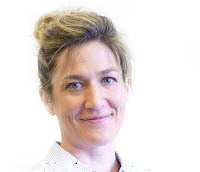 As CSO of Peptomyc, Marie-Eve will coordinate the activities performed by the CROs and perform and supervise the activities related to the Omomyc peptide development (preclinical validation in vitro and in vivo) within the lab. GENESIS Biomed is a start-up formed by entrepreneurs and with vocation of service to entrepreneurs and research centers.They have been involved as strategic consultants since the very beginning, helping the company in strategy, business development, regulatory affairs and fundraising. Dr. Castillo is the newest addition to the research team and has extensive experience at the early stages of drug discovery. As a PhD student, he designed the best-in-class cell penetrating peptides against Ebola and Marburg filoviridae. During his industrial placement, he contributed to the discovery of natural products and small molecules against FoxO3a aberrant nuclear translocation viaphenotypical high-content screening. As a Cancer Research UK postdoctoral fellow he implemented a FRET-based screening platform, which led to the identification of novel fragments specifically targeting cRaf interaction with kRAS-G12D. He has co-authored 6 peer-reviewed publications and 2 book chapters as first author. Francisco is now characterizing the biopharmaceutical stability of Omomyc for further formulation development. 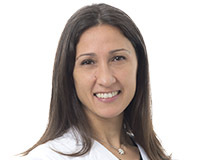 Dr. Foradada joined Peptomyc in 2016 as an expert in in vivostudies and pathology. She graduated in Veterinary Medicine (UAB; 2006) and then moved to the Histology and Pathology Department where she obtained a PhD in Animal Medicine and Health (CBATEG, UAB; 2013) and extensive knowledge in anatomy, pathology and animal surgery. Afterwards she worked in the Functional Validation and Preclinical Research group (CIBBIM-Nanomedicine, VHIR) where she developed her expertise in mouse models, functional and preclinical validation of new compounds and skills in molecular imaging techniques. Laia is co-author of 9 peer-reviewed publications. Dr. Casacuberta is an expert immuno-oncology scientist who joined Peptomyc in 2016 as a postdoctoral researcher. She has a master in Biomedicine (Universitat de Barcelona; 2011) and a PhD in Immunology (Universitat Autònoma de Barcelona; 2016). During her PhD she designed a method to induce immune tolerance in a model of multiple sclerosis and has already co-authored 8 peer-reviewed publications, 2 of which as a first author. In order to elucidate the role of Myc in orchestrating immune evasion, Silvia is applying her extensive knowledge of the immune system to investigate how Myc inhibition modulates the anti-tumor immune response in different cancer models. Dr. Jauset has wide experience in the preclinical validation of cancer therapies. He graduated in Biotechnology (Universitat de Lleida, 2010) and obtained a Master in Molecular Medicine (Cranfield University, 2011), before completing his PhD under Dr. Laura Soucek’s supervision. During his thesis, Toni investigated the mode of action of the Omomyc transgene and helped characterize the effects of the Omomyc mini-protein in NSCLC. He also collaborated with various laboratories to develop Omomyc-based nanoparticles and with pharmaceutical companies to test their drugs in mouse models. He is co-author of 5 peer-reviewed publications and 2 patents. After working in Dr. Soucek’s laboratory for several years, Toni joined Peptomyc’s team in 2017 to continue the preclinical development of Omomyc-based pharmacological approaches. Dr. Massó-Vallés graduated in Biology at the Autonomous University of Barcelona (2009), and obtained a Master degree in Advanced Genetics from the same university (2010). He then received a PhD in Biochemistry, Molecular Biology and Biomedicine in Dr. Laura Soucek’s laboratory (2017), where he studied the role of Myc in metastatic breast cancer and the repurposing of ibrutinib for the treatment of pancreatic cancer. He recently joined Peptomyc after being awarded a ‘Torres Quevedo’ fellowship to validate a new generation of cell penetrating peptides targeting Myc for breast cancer treatment. Daniel is co-author of 6 peer-reviewed publications (2 as first author), a book chapter and a patent application.